This is the first poster that responds to people looking at it. 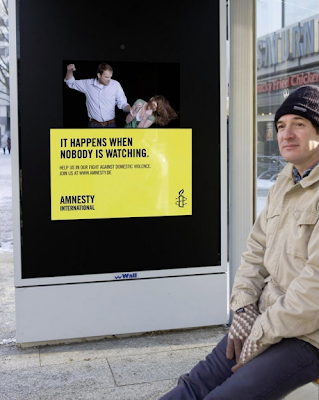 Its about domestic violence, another campaign for Amnesty International. When no one is looking directly at the poster, it depicts a typical sense of domestic violence. 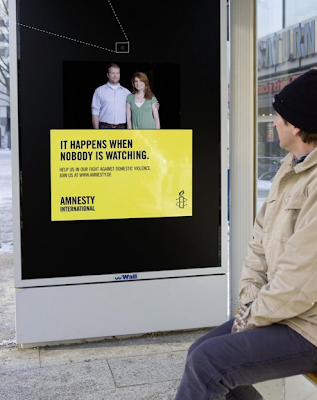 When a passer-by looks at the poster directly, the image changes (after a short, programmed delay) into a photo of the same couple pretending to be happy. This is through an "eye tracking" camera embedded within the poster.